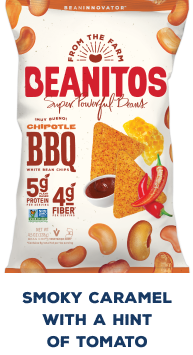 New Bean chip line that delivers higher nutrition, more flavor, and are made with whole beans, a Sustainable Crop sourced from American Farmers. 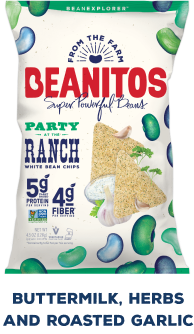 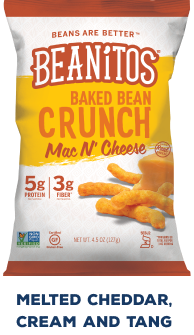 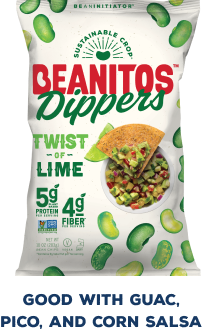 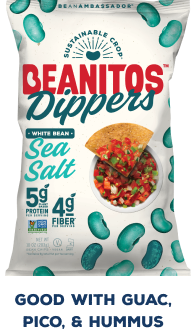 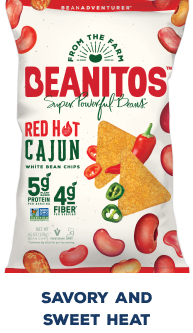 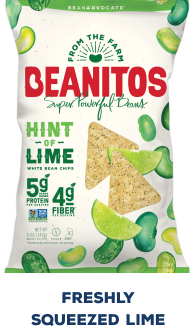 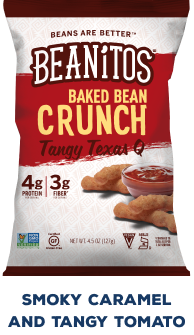 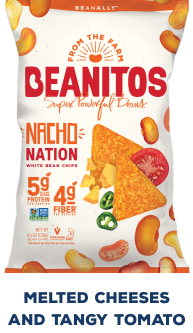 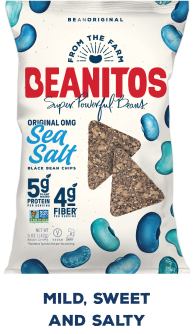 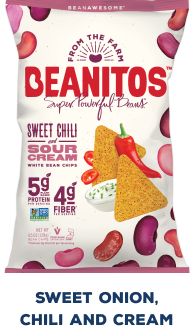 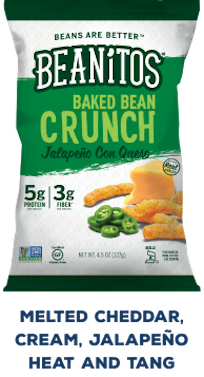 AUSTIN, TX (January 10, 2019) – Healthy snacks leader Beanitos® kicks off the year with a new bean chip line that uses a new recipe based on whole beans sourced directly from American farmers. 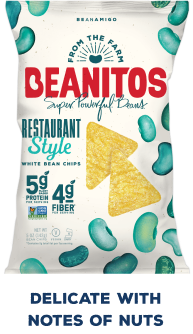 The new, lighter textured bean chips are crispier, more flavorful and more nutritious. 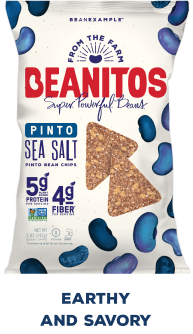 Beanitos now have one of the highest nutritional profiles of any salty snacks on the market, delivering 5 grams plant-based protein per serving (a full 25 percent more protein per serving than before), 4 grams of fiber per serving, antioxidants and loads of nutritional goodness. BEANITOS IS AVAILABLE NATIONWIDE IN CHIP AND THE BETTER-FOR-YOU AND SALTY-SNACK AISLES IN NATURAL AND MASS-MARKET GROCERS AND ON AMAZON.